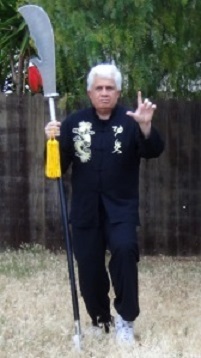 Students will learn Chen Family style Tai Chi Chuan's 30 Posture Halberd form as taught by Grandmaster Chen Zhenglei with attention paid to the differences in the form as taught by Grandmasters Zhu Tian Cai and Chen Xiaowang. 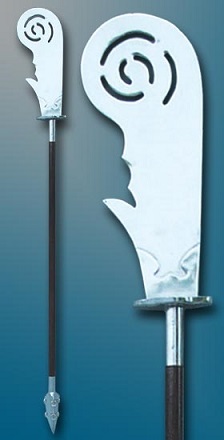 Classic and most commonly seen Green Dragon style kwan dao at the left. 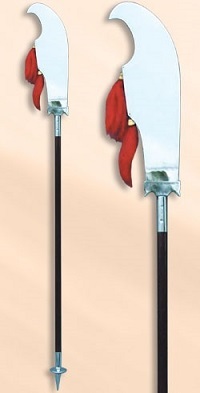 Tactical applications will be shown for kwan dao versus one and two sabers; versus one and two swords; versus staff and versus spear. Students will be encouraged to work with the rarely seen Eagle and Elephant style kwan daos.